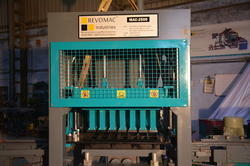 We are the leading manufacturer of Brick Making Machine to our valuable clients. 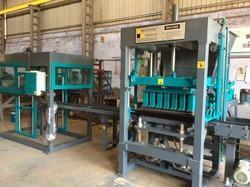 We are offering Fully Automatic Brick Making Machine. Price Range:Rs 22 Lakh- 1.5 Cr. Latest German Technology Vibro + Hydro. Pure Indian Manufacturer & Self Manufacturer. Pan Mixer 350 Kg. -02 Nos. Capacity/Mould Depends on Customer requirement . Vibration Frequency (r/min) As per the product different timming. 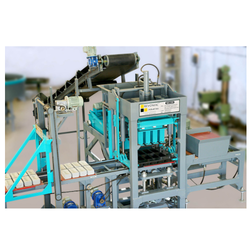 Fully Automatic Fly Ash Brick Making Machines ensures a superior quality of output along with a noise free machine operation. 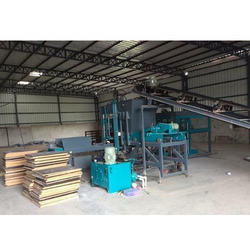 Multi purpose machine which helps customer in getting different kind of Bricks, Blocks, Pavers, and many kind of other blocks as well which makes our plant different from other. 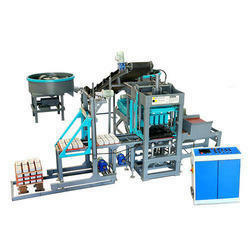 Fly Ash Bricks Machinesensures a superior quality of output along with a noise free machine operation. High-Pressure Fly Ash Brick Making Machine ensures a superior quality of output along with a noise-free machine operation. 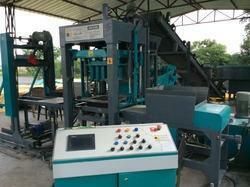 We are offering Concrete Brick Making Machine to our client. 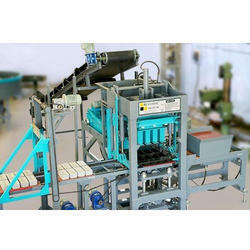 Auto Brick Making Machineensures a superior quality of output along with a noise free machine operation. With the help of our team of adroit professionals, we have become a reliable manufacturer of High-Pressure Brick Making Machine. Owing to our technologically updated manufacturing facilities, we have been able to offer a gamut of Brick Making Machine. Brick Stroke (230x105x75mm) 14 Nos. 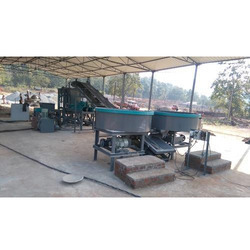 We are Providing Complete Turnkey Projects for Fly Ash Bricks, Concrete (Hollow/Solid) blocks, Concrete Paving blocks/Interlocking Pavers, Kerb Stone etc capacity 10,000 to 1,20,000 PCs/Day with Auto Batching and Auto Clave plants. Our fly ash brick making machine can produce bricks of any shape and size. "You name it and our machines got the capability to make it!" The effective implementation of Hydraulic and Vibration technologies in by our machines ensures apex levels of uniformity and quality. Pan Mixer 500 Kg. -02 Nos. We have achieved expertise in offering Hydraulic Brick Making Machine that is used by various engineering industries for bricks manufacturing. Fly Ash Brick Making Machine ensures a superior quality of output along with a noise free machine operation.